This website is owned by Universo Capoeira (hereafter “Business”) , a company registered in England and Wales (company number ), whose registered office is at 219 Kensington High Street, , London, London, United Kingdom, W8 6BD. What User derives from use of Universo Capoeira products/services/information depends upon User’s commitment to, and effort in, applying the information. 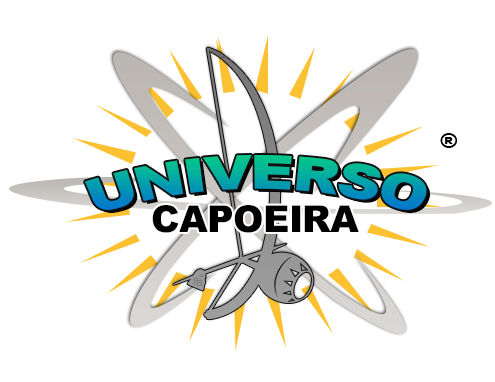 Universo Capoeira does not represent, warrant or guarantee that User will achieve any particular results in business as a result of purchasing and using Universo Capoeira products/services/information. User acknowledges that the success of User’s business depends on User’s skills, effort and commitment. PLEASE SEE OUR EARNINGS AND TESTIMONIAL DISCLAIMER ELSEWHERE ON THIS WEB SITE. Universo Capoeira regularly sends out a newsletter and/or other informational emails (collectively referred to as “Newsletters”) to all Users. In these Newsletters, we may inform you about new services, features or products. User may choose to unsubscribe from the Newsletter at any time using the unsubscribe option at the bottom of our emails, or by writing to us at info@universocapoeira.co.uk or following the unsubscribe link contained in each of the emails. In accordance with UK and International law, any notifications of claimed copyright infringement should be sent to us immediately. Such notification can be sent by email, to info@universocapoeira.co.uk or by letter to: Universo Capoeira, 219 Kensington High Street, , London, London, United Kingdom, W8 6BD. Use of this website https://www.universocapoeira.co.uk/, as described below, is prohibited. These descriptions are guidelines and are not intended to be exhaustive or all-inclusive. It is your responsibility to determine that your input into our site, including use of any chat room areas of our site, including your choice of your user name, conforms to the above conditions. If you notice any content which breaches these conditions, please notify us by email to info@universocapoeira.co.uk. Universo Capoeira recognizes that any data provided by User to us is extremely important and we shall, therefore, be particularly sensitive in handling such data. Users are advised that there are inherent security risks in transmitting data, such as emails, credit card or personal information, via the Internet, because it is impossible to safeguard completely against unauthorized access by 3rd-parties. Nevertheless, Business shall do what is reasonable to safeguard your data, subject to this cautionary limitation. a. To request deletion of User content, User must send an e-mail to Customer Service at info@universocapoeira.co.uk stating the e-mail address associated with the particular content you wish to delete, along with the words “Delete User Content” in the subject line. Please note that if User subsequently places the same or similar content on the Business web site, this deletion notice will become null and void. To register with https://www.universocapoeira.co.uk/ you must be at least 18 years of age. Incident Reporting : Any complaints regarding violations of these Terms by a User should be directed to customer services at info@universocapoeira.co.uk. Where possible, include details that would assist the Business in investigating and resolving the complaint (i.e. expanded headers and a copy of the offending transmission). Complaints Procedure : We are very proud of our high standards of customer service however, in the event that we fail in meeting these standards, please do not hesitate to contact us at 219 Kensington High Street, , London, London, United Kingdom, W8 6BD. These Terms and Conditions were last updated, and became effective, on 28/02/2019.